Here are some examples of some of our previous personal, customized wine tours. 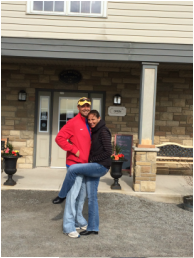 On our first wine tour with Sherri, my husband and I had such a fabulous time that we purchased some Hidden Gem Tours gift certificates at Christmas time in order for our loved ones to share in the experience. On May 2nd, 2015, my husband, his parents and I traveled to Niagara-on-the-Lake to use our gift certificates. My in-laws had always expressed an interest to go wine touring but had never had the opportunity. We were excited to take them to Sherri and Hidden Gem Tours because of how very special she had made our last visit. They themselves were beyond pleased with the wine tour as well as the quality service of Hidden Gem Tours. Sherri arrived early for our tour and greeted us with her warm smile and charming personality. She immediately put my in-laws at ease with her infectious laugh and knowledge of her hometown. While driving to our first destination, she spoke of local festivals, new wineries, and the history of the area. After our first stop, my mother-in-law had expressed that she was concerned about feeling light headed should we consume too much wine in a short period of time. Sherri informed us that she had spaced out the wineries and ordered food for us at two of our stops. This immediately put my mother-in-law at ease. And so, we put our trust in Sherri and Hidden Gem Tours as we all climbed into the spacious, immaculately clean vehicle and headed off into a whirlwind of wine. At our final destination, Sherri had arranged things so that we were able to sit in the vineyard and snack on some charcuterie and sip on a beautiful glass of wine. The weather was stunning and the scenery was breathtaking. This truly was the perfect ending to a fabulous day. Hidden Gem Tours allows its customers to really sit back, relax and relinquish control as they provide a unique and very special experience to their customers. My husband and I felt this way on our first trip and we were not disappointed with our second tour. We expect to have a long and beautiful relationship with Hidden Gem Tours as we continue to sing their praises to those we love and those we meet who express an interest in going to Niagara-on-the-Lake. So, take the time with those you love, go on that wine tour you always wanted to try, travel to Niagara-on-the-Lake and support local and beautiful wines. Just make sure you organize your trip with Hidden Gem Tours; you’ll be glad you did and you’ll have no regrets (and hey – maybe we’ll even see you there!). Thank you Sherri. We all really enjoyed your tour and company. You are very good at what you do. All the best to you and your family. 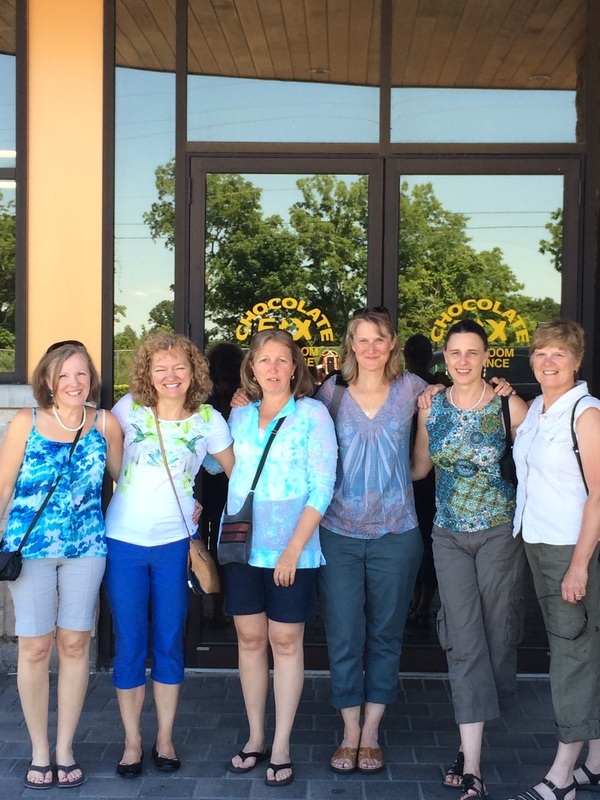 Lori, Brenda, Trish, Carol, Sheri and Sue ~ The Iron Butterflies! Thank you! we had a fantastic day, the wineries were great and Chris was an excellent tour guide. We will definitely let our friends know about you. See you again. Highly recommend. Great attention to detail during booking, excellent service during the tour and the choice of wineries is wonderful. What a fantastic experience getting to see some of the smaller wineries that you might not even know exist! Great service and information from the winery operators/staff, and our wonderful tour guide Sherri! It was a great girls day out! 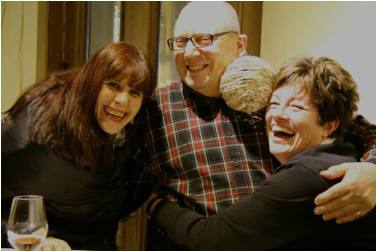 Returned guests are always warmly welcomed! Everybody loved the tour! Thomas was great and was an awesome tour guide! We also loved the suburban, very nice surprise! Our group especially liked our private vineyard and cellar tour at Hinterbrook, an awesome tour and very knowledgeable and personal. Thank you again very much for helping me organize this tour, nothing could have gone better! I will for sure be recommending Hidden Gem Tours to friends and family! The girls and I can't stop talking about how wonderful you were this weekend. We have all posted to contact you for an incredible, worry free, relaxing time to contact you. It's been posted to our Facebook, Instagram and Twitter accounts. Just wanted to thank you for the amazing tour this past weekend! We had soooo much fun, and really enjoyed the small, personalized tour. The wine and cheese pairing was superb. Loved the scenery and your extensive knowledge of the area and the vineyards. We had a blast, you are in the right profession! We have passed your info on to our family and friends. Looking forward to visiting in the summer. The best tour guide in Niagara. I just wanted to let you know that us girls had such a wonderful day with you at our Wine Tour. Very informative & fun! We will definitely be back & we will definitely recommend you to others! We have a good time and appreciate your wine tour guide's hospitality at Hidden Gem Tours and passion for your wine country, it was truly awesome. I hope our paths do cross again though as we enjoyed our time together.Thanks again for everything, her personality and passion was contagious and we recommend highly Hidden Gem Tours. We definitely want to visit the Niagara wine country again and will look you up if we do. Just wanted to thank you for last weekend, we had a great time. Wine, beer and great company, how can we go wrong! Thanks for the nice card, and gifts it was very thoughtful of you. I know we will be back to NOTL one day soon enough, possibly next year and we will be in touch with you personally. Thanks Sherri! We are still raving about your tour! I left one card with the bnb owner and one with the other guests that were staying at the same time as us! Thanks so much for being such a genuine and lovely person. Alejandro and I really enjoyed the time we got to spend sitting back and visiting the vineyards. Each one of them had something unique to offer. All the best to you and your family and hope to see you once again on our next trip to Niagara. Our wine tour guide, Sherri Oppenlander, President of HiddenGem Tours. Multi-talented, she is very knowledgeable about wine-making, knows the area and wineries very well, is a gourmet garde mange cook (!!) and is very entertaining. We had a great time! Dinner was AMAZING! Sherri thought of everything...the perfect ending to an incredible day! Thank you so much, Sherri! European guests love our IceWine! 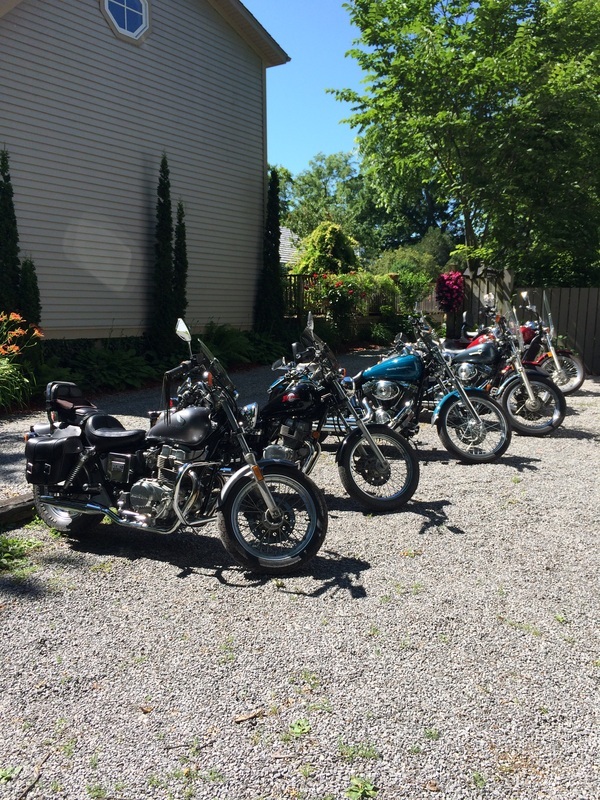 Hidden Gem Tours organized a great staff play-day for us in September. Our tour guide Sherri provided a lot of local knowledge and we felt that we experienced more than we would have on our own. The vineyards that we visited were very different and the cellar tours were excellent. All in all a fun day out! We really had a great time yesterday. Thank you for keeping us organized and showing us some great wineries. I will totally recommend you. "Sherri our tour guide at Hidden Gem Tours was very knowledgeable about wines from the grapes to the wine process and the final product. She brought us off the beaten track to the small local wineries. She was very friendly to us as guests and to all of the winery owners as our hostesses. 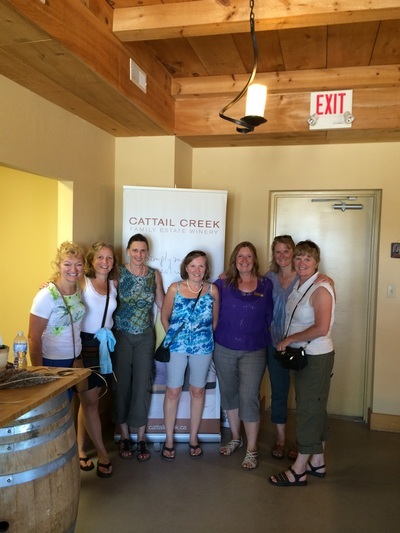 She made for a very pleasant afternoon for 4 sisters to share together touring local wineries. Thanks for a great day Sherri!!!! Went on a fabulous wine tour in June 2010. Host Sherri was fun and accommodating. I very much recommend taking one of her tours! Just want to thank you for a great day! We had a terrific time and the choice of wineries were absolutely perfect! Look forward to doing this again with you.